If we look at today’s readings with a view of current events in the middle east, we have to remind ourselves of the very western point of view that we have. In our world, we speak of families and countries and have a world view very much shaped by all the conflicts of the last century. But really if we look at the middle east, the countries there are constructs of those conflicts and the shifting sands of tribalism that was current in Jesus’ time is there even today. In biblical times, the Peoples there were tribal, and the circle of life for people began with the family and the village and tribe. Outside of that all were strangers and of course suspicious. In the Bible, recall Israel as a tribe spent time in Egypt and in Babylon(Iraq today), subservient to others. The outlook on life was different and certainly even human sacrifice was not unheard of. We must not think that humanity just arrived at the 21st century and reached a measure of civility. Evil was in the world then and it is here now. While the story of Abraham and Isaac is a revelation of faith and trust and God’s care, it is also a reminder of what our ancestors were and what we have become. That hatred and murder and brutality are still in our world makes the point that much needs to be done to bring about a true revelation of God’s will for humanity to be one in his love. Christ came into just such a world and in his one life had the call to bring God’s word to humanity. He knew what lay ahead of him and that his death was inevitable. Yet he knew God’s grace was a living and growing thing that would evolve and spread as time went on. Today’s gospel was meant certainly for his apostles, but also for assurance to him also. None of us starts out on a task without first preparing and assuring our self of making progress. That is what Christ did and he began a way, a path, a journey for all to follow to his Father. Many in the world today follow Christ, yet we see that there certainly are those who don’t. Hatred, violence, mistrust, poverty or just being helpless all lead to the ills and evil we see today. Our faith calls us to look around and to reach out. We need be careful of exhibiting the comfort and triumphalism of the Scribes and pharisees who thought all was well and that they had all the answers. The only one with all the answers is God and he has bestowed them as he has seen fit and revealing them as he determined we were ready for them. More than anything, this is what we see in our readings today. 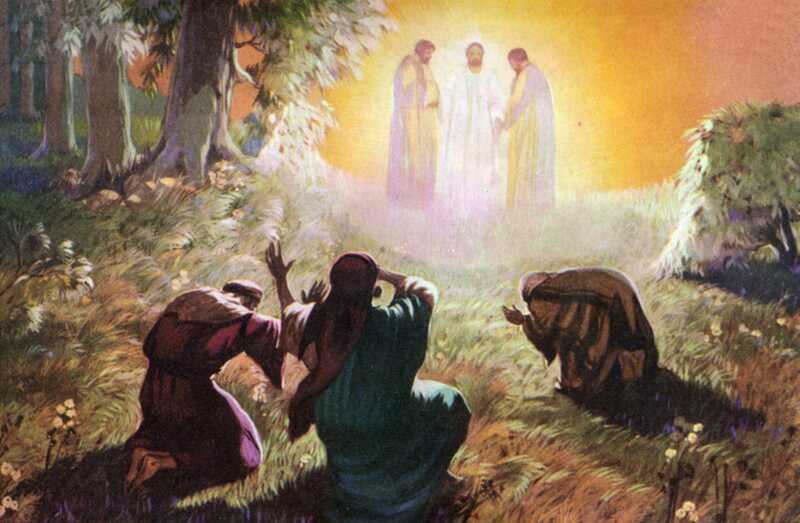 The word “transfiguration” is not often part of our vocabulary today. I can’t image a mother coming to the table with a beautifully done casserole proclaiming that she had “transformed” the macaroni into this exotic dish. We might use it if someone goes to the beauty shop and gets a daring haircut. Look how transformed she is! we might say. Or we might use it in telling fairy tales to our children – someone was transformed into a princess-like Cinderella or a frog was transformed into a Prince. But despite the fact that it isn’t a common word to use, what the word signifies does happen pretty often. Something is changed into something more beautiful or altered in some way, making it more “awesome” to use today’s cliché. Lent is a transformational season in the Church. 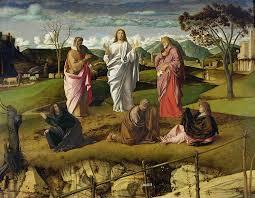 This is, of course, why we hear the story of the Transfiguration read to us today. In Mark’s version the Apostles are witnesses to the event, but really didn’t understand it. Nor did they understand the reference to Jesus rising from the dead – the ultimate transformation that was to come. It would be a transformation that would transform the world. How can we transform ourselves during Lent? What do we have to do to turn ourselves from sin, the part of ourselves that pulls away from God? I directed the play “Godspell” a number of years ago, and the character who was supposed to be Mary Magdalene goes out into the audience and sings a seductive song, coming on to all the men in the audience. But the words of the song belie what she is doing in that she had already been transformed by Jesus. Her words were “Turn back, o man; forswear thy foolish ways.” The seduction which she had used as a prostitute was now a seduction of souls to turn back, repent and come to God. Her movement from prostitute to disciple of Jesus transformed her into an evangelizer in the play. There are some hints for us in all the readings today about our own transformations during Lent and what we must do. In the first reading Abraham had to turn his back on everything he held sacred. We know how important it was to have a son and heir for the Hebrew people. 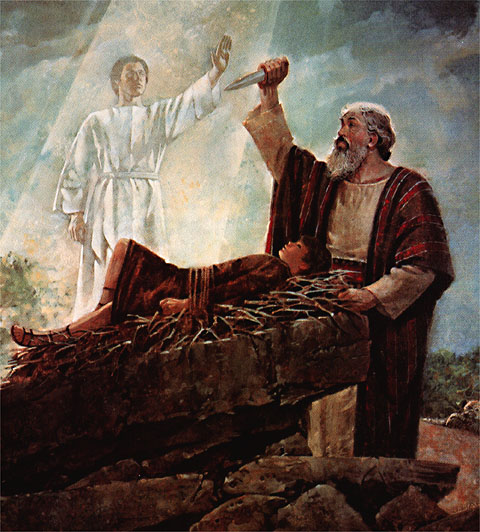 Abraham had only one son who was a gift from God. But now God wanted to take that away from him, and by Abraham’s own hand. It is a very repulsive thought even, but Abraham had such faith in God that he did not waiver. Perhaps Abraham’s faith allowed him to know that this was a test or that God would somehow make anything that happened right, but he turned his back on everything he wanted and had worked for in order to follow God’s command. How willing are we to have complete faith in God? You know how many times i have stressed to you the fact that God’s ways are not our ways. Knowing this, are we willing to suffer, to offer up everything we hold dear and put it in God’s hands? Abraham’s reward was a great one for his faithfulness. This “handing over” our lives to God, this ability to trust that God will make all things right in the end, that there is a divine purpose behind everything that happens is one of the things that we need to cultivate in our repentance this Lent. The Psalm today says “I kept my faith, even when I said “I am greatly afflicted”. Do we keep our faith when we suffer, when our family suffers, when there is death even? That is the kind of faith we are being asked to develop in Lent. Nobody said this was going to be easy! If we are able to put that faith in God, Jesus Christ and the Spirit, then we can proclaim with Paul to the Romans today that nothing “will separate us from the love of Christ.” No hardship, no distress, no persecution, no hunger, no poverty, no peril or no weapon will be able to get us down or take God’s love away. Faith can move mountains! So how do we develop this faith in ourselves this Lent? It can seem an insurmountable thing to do, but I would suggest we do it by practice, starting small. We take something that is worrying us and we place it in God’s hands. We literally say to God: Lord, I give you this, it is out of my control and influence, do what you think best with it. Begin to make this a practice. The immediate reward will be a transformation in itself. You will feel the anxiety or depression lifting because you know you are not alone. “If God is for us, who is against us?” Paul says today. This ability to transform those fears and anxieties won’t come quickly or even easily, but it will come with practice. 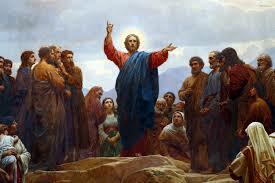 At Communion today we will sing a hymn that summarizes this transformational attitude – listen to the words. “Transfigure us, O Lord. Break the chains that bind us; speak your healing word, and where you lead, we’ll follow. Transfigure us, O Lord.” We ask God to break the chains that are not allowing us to give ourselves completely to God and his will. We ask God to heal that in us so that we can follow wherever God may lead us. Just as Jesus had complete faith in the Father and was led even to death, God’s plan was to use that death in the greatest event known to mankind – our return to God’s grace and kingdom. The last line of the verses for the hymn “Transfigure Us” asks the question: “Shall we journey with you and share your paschal road?” And that is the question I leave with you today as well. Shall you journey this Lent with God, letting God lead the way, giving the direction to God, giving our will to God, even to sharing the sacrificial road that God had taken in Jesus? It takes a great faith, but one that can be developed, practiced and lived. And this is the Good News I leave you to ponder and maybe even find an answer to today. 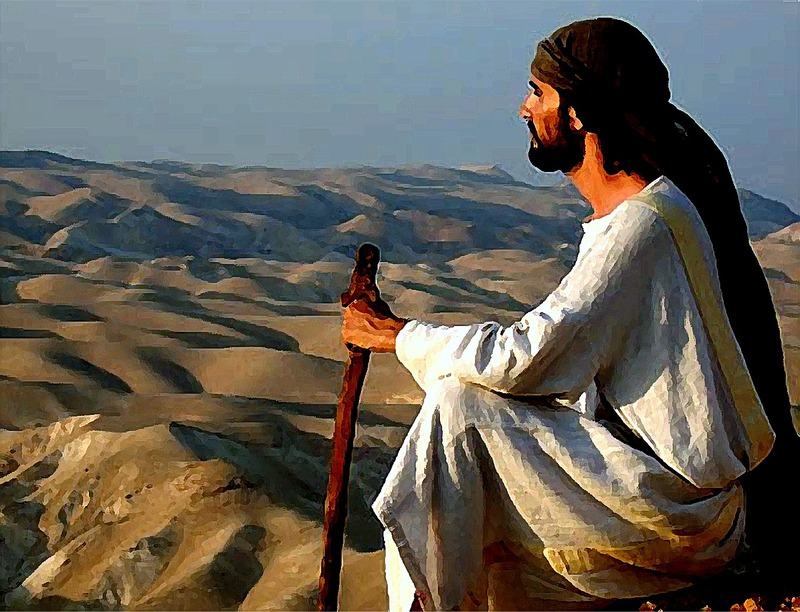 As we begin lent, we once again recall Jesus going out into the desert to pray, to prepare for what lay ahead of him as he began the mission of calling all to repent and return to God. Realistically, all of us have been called and baptised into Christ’s blood and have the Spirit within us. We are followers of Christ, who have professed our belief and been baptised. However, at the same time, we are human and are open to the weaknesses of being human. 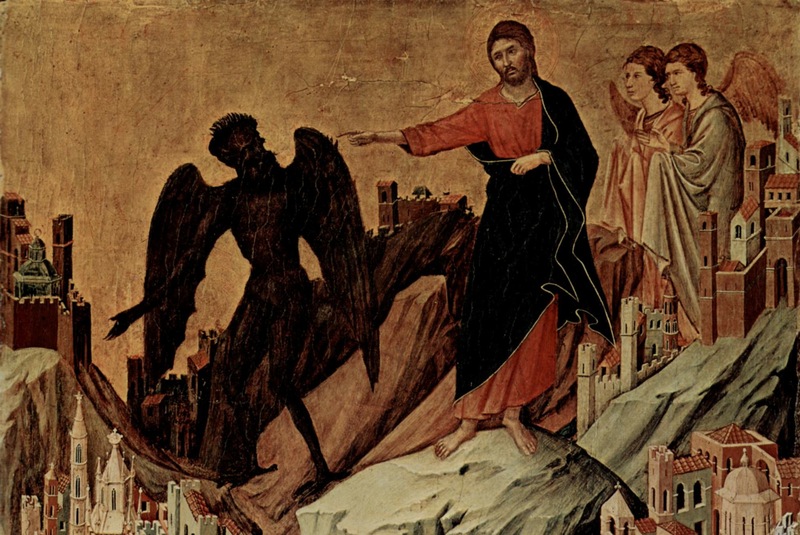 Christ himself was subject to the temptations incumbent to his humanity. Even he could see that there were possibly shortcuts he could take to make his life easier. As Son of God, he knew his uniqueness and abilities. Yet, he never presumed to do anything that was contrary to what he came for or that was for his own comfort or ease. This time we share is 40 days of lent which started on Ash Wednesday and goes through Holy Thursday. 40 is a recurring number throughout salvation history and is very much identified with the idea of preparation. The Israelites waited 40 years in the desert to prepare a new generation for the land promised because those who left Egypt had betrayed God’s trust and thus were held back. That experience and Jesus’ time of preparation and the liturgy of the church have long emphasized the penitential nature of lent. Certainly, it is a good time to step aside and in the presence of God examine who we are and ask where we as all humans do, fall short of doing things in the best way. Our biggest challenge is to remain faithful without being satisfied that we are all ready set because the structure, the law makes us right. Remember, Jesus condemned the leaders because they could not see beyond the law to the people who the law was supposed to serve. As believers, we come and share Christ’s Body and Blood regularly, but as we receive and are strengthened, it is so that we can do just a little bit better. It is as if we know and feel we could possibly give that little bit more to complete who we are. We can not forget that the seed of weakness and self-interest lie within us. We must prepare and be vigilant that we not give in and lose sight of ourself and fellow humans. Perhaps none of us are destined to reach out to great multitudes of people, yet each day we in one way or another touch the lives of many people. This is the love and life we give to each other and those around us. That is what we need to prepare, the ability to overcome our weakness and reach out to others and share the love of God we have received. If depriving ourself of things is what does it, then fine. But giving, sharing God’s love, Jesus’ gift of death and resurrection, that is what is most important as we share this lent together. 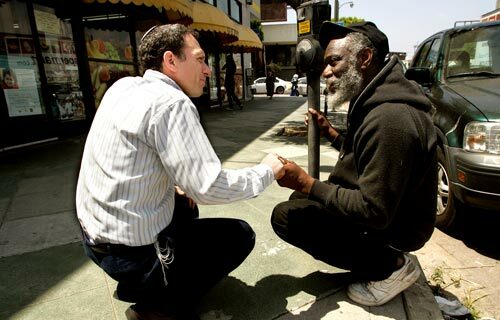 Giving your time or talent to someone in need, whether it simply be to listen or to share a few minutes of time, both of you will share God’s love in a special way. It truly is one of the ways to rid yourself of those inner temptations and doubts that sometimes attack us. First, a parable. Johnny had not been a very good boy this week. He had gotten into trouble at school and had not done the chores at home that had been assigned to him. What this story is about is “covenant”, a word we hear a lot about in the Scriptures. A covenant is a free gift that we don’t merit from our behavior. But certain behaviors of thankfulness are expected. In Exodus, when the Jews were led out of Egypt, God made a conditional covenant with them, made them his people and gave them the Promised Land. But in return they had to follow certain moral codes, and not worship other gods. When Israel broke that covenant, the Promised Land was taken from them, not forever, because God always keeps promises, but they had to work for it. In the opening reading today from Genesis, we are given part of the story of Noah, but we also need some context. God created the world, and after Adam and Eve left Eden, the population grew. But the didn’t show any thankfulness or keep their part of any moral code and the world became corrupted and ungodly. God could only find one family that kept the covenant. God sent a flood which destroyed everyone except the family of Noah. But God, still in love with the human race despite their turning away, made another covenant with Noah without any expectations – an unconditional covenant that God would never again destroy the world with a flood. And just to remind them of this promise, this covenant, God created the rainbow as a visible sign of it. The difference between a conditional and an unconditional covenant is simply that in an unconditional covenant we are not expected to do anything in response, while in a conditional covenant such as at Mount Sinai, we have obligations and so does God. The Psalm today reflects the Sinai covenant because the response is “Your paths are love and faithfulness for those who keep your covenant.” In other words the Hebrews needed to show faithfulness and love to God and neighbor as a result of the conditions of the Mosaic covenant. The other major covenant in the Bible is the Davidic covenant, an unconditional covenant where God says that David’s family line will be blessed and an everlasting kingdom would come from that line. Jesus is from the family line of David and Mark says in Chapter 10 that Jesus is the Son of David and fulfills that covenant because God always keeps promises. Mark’s Gospel is really all about proving that Jesus is this fulfillment of the covenant to David. This Davidic covenant also has a sign like the rainbow, and St. Peter in the Epistle today describes that covenant sign as baptism. Peter explains that God saved eight persons through water, and that baptism is a saving sign and action which frees us from sin. Peter describes this as “An appeal to God for good conscience” because when sins are taken away that are no longer on our conscience, and we no longer have to worry about them. So two covenant, two signs! In the Gospel today, in Mark’s direct and uncomplicated way, he explains that Jesus was baptized, showing us what we need to do as well, and then Mark goes on to show the qualities and signs which begin to show that Jesus is Son of God. He was driven by the Spirit, he was tempted by Satan unsuccessfully, and Angels waited on him. We are again told the secret that it will take a while for everyone else to figure out – that Jesus is the promise of the Davidic covenant promised to us. The reading ends with Jesus beginning his preaching of the good news of God – that God’s kingdom is near. And what must our response be… what is the one condition that we have to fulfill to get in on this covenant…? We have to repent and believe. And THAT is what Lent is all about. It is our response to the covenantal promise of our being saved by Jesus Christ. We have to turn around, examine our lives and state our beliefs. This Lenten response leads to Holy Saturday when we renew our baptismal vows and celebrate the fact that we have been part of an covenant in which God has sent a Savior to us, God’s self in the flesh and we are at the beginning of living the kingdom of God. This is Good News. This is the Good News of Lent, and this is what Jesus proclaims today! Measles, Ebola, these would be the leprosy of our time. Like ancient times, we still use quarantine, exclusion, isolation to protect the population at large. When modern medicine identifies a threat even now, sometimes their solution is one of those choices when they don’t have answers. It seems so hard that when a person in such need is forced into a situation foreign to him, In ancient times right up to Jesus’ time, skin disease, sores visible scabs were reasons of concern and meant a person was put out of the community, forced to fend for themselves usually out in the wilderness totally removed from their loved ones. Certainly there is nothing normal for a person to be forced to live outside of their community and away from family and friends. Women and men seek friendship and community to live life in a normal way. In a time of sickness and need, it seems cruel to exclude them from the care and love they have worked to build up all their lives. In the case of leprosy, there was a distance required and absolutely no contact was allowed. If we think back the past few weeks, we saw Jesus after his baptism called his first apostles and went to the synagogue and even to Peter and Andrew’s home. But we see the crowds and their expectations of Jesus as miracle worker forced him to move on from Peter’s to the next town and environs to preach and deliver his message. His healing and curing was something added to that ministry from His compassion at his very core. It drove him to reach out to those in need of healing. As time went on, he was outside the towns and villages. He desired to be heard, to preach God’s word, not to be a person idolized or held up to popularity. Also we see, that he was looking not just to the towns, but to everybody, even those who had been cast out because of illness or what ever. He identified with those who would listen, who would believe. Those who seek God are on a journey seeking him and realize it is a journey. Some, like the priests and elders in Jerusalem, thought they had all the answers and were so satisfied that they were secure. Jesus came for those not so sure, those seeking God, those cast out, anyone who would hear his word. The sick, the desperate stirred up his compassion leading to their healing and inclusion once again. Our mission today is to teach and preach, to find those who hear but may have somehow been excluded or pushed away from community or family or friends. Christ is living, and it is through you and me and how we speak and act. I am sure it seems odd to us today and quite cruel to treat someone with a severe disability by kicking them out of the community and isolating them outside the town, leaving them to fend for themselves. We are told that what the Bible calls leprosy really isn’t the leprosy that we call Hansen’s Disease today, although some of it may have been, but included any kind of infectious skin diseases including rashes and skin discolorations caused by things like mildew. But this was a time before medicine, a time when infection meant there could be spreading of disease and separation was, in effect, the way to save the whole community. So when we read the Law regarding lepers in Leviticus we must understand that context. It was not meant to be cruel but to be a protection for the uninfected people. And they weren’t always cast out forever. Someone with Hansen’s Disease who was wasting away would be, but many other infections simply cleared up and there was a way for dealing with that and bring a person back into the community. The other problem with the early Jewish understanding was that there was a strong relationship between the external and the internal in the mind of the Hebrew. Leprosy was a sign of sin, a sign of uncleanliness both of which separated the person from the Jewish community. When we look at the Gospel reading, the first amazing thing I want you to note is that Jesus was approached by a leper. This was forbidden since they were to stay apart and be alone. 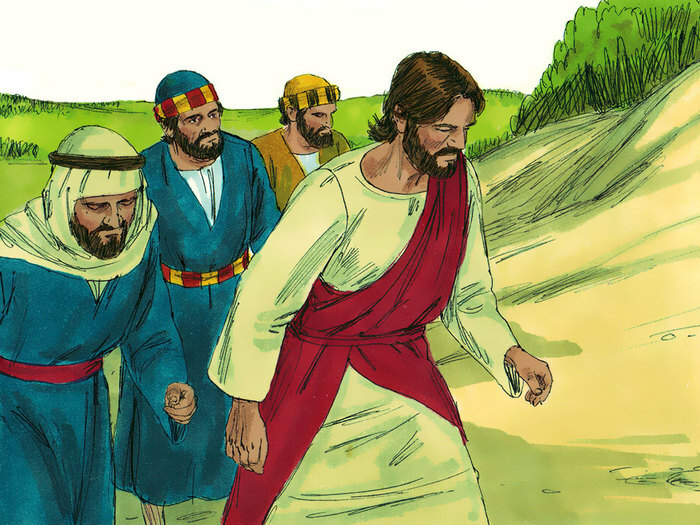 Jesus doesn’t run away from the man but is moved with pity for him. This is even more true because the man puts complete faith in the ability of Jesus. One wonders how he even heard of Jesus, but as anyone with a bad disease like cancer can tell you, the sick person is often looking for ways to get better, for the newest findings on the disease or for other doctors who claim to be able to heal it. The leper probably had his ear opened to find out about one of the healers who were quite common at the time. As the man is immediately made clean, we learn what a person has to do to be admitted back into the community. He or she has to go to a priest to be checked out, and make an offering to God for the cleansing, usually a sacrificial animal. When Jesus asks him not to tell anyone about it, I am not sure he knows he is not being realistic in that people were going to want to know how this man with torn clothes and disheveled hair was made clean, if only so that they, too, could take advantage of such a person. What Jesus didn’t want, at this point, was his 15 minutes of fame as a healer, because that wasn’t what he was really about. Healing was something he could do, and it strengthened people’s faith in him, but what he really wanted to do was preach the Good News of the kingdom of heaven, eventually knowing that he would die to bring that about. Too much success too early would not allow the message to be spread. 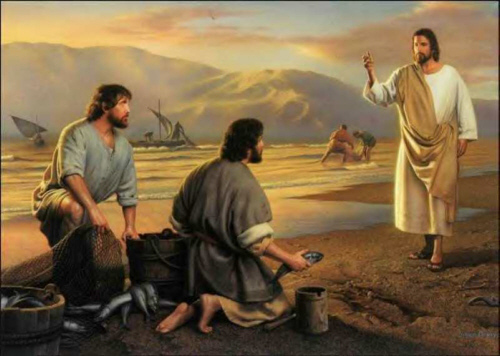 Unfortunately for Jesus, however, the man told everyone, so that Jesus couldn’t preach in the towns any more because of the number of people wanting cures, and he was confined to preaching in the countryside where people still came to be cured, but where he could also spread them out and work in his preaching. 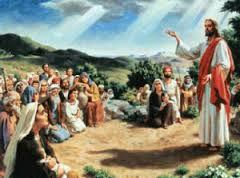 In most of the cures of Jesus, although not in this one of the leper, Jesus also forgave sins. Perhaps with the leper he wanted to show that there was not a relationship between disease and sinning, and that one was not a sign of the other. 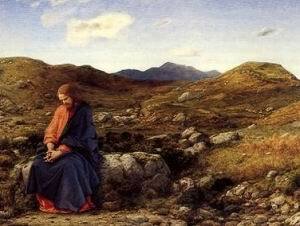 In many of his healings though, he tried to cure both the outer and inner person, and the psalm today expresses that with the beautiful words: “‘I acknowledged my sin to you…, and you forgave the guilt of my sin.” This same healing is still available to us today, one of the most hopeful and remarkable things about our Christian heritage. Each Sunday at the beginning of Mass, if we are truly sorry, we confess our sins and we are given absolution for them. And in our Prayer of the Faithful we say to God, “If you choose to you can cure…” And often he chooses to. Let me close then today with St. Paul’s words: whether you eat or drink, or whatever you do, do everything for the glory of God.” Let us try to make God part of our everyday life and actions, so that when we are in trouble or bad health we can come to God, like today’s leper, and God will know our faith and belief, and cure us if God so chooses. Hopeful thoughts that come from the Good News we hear today! Suffering and sickness is something that is a very real part of humanity and life itself. We see it today in Job and in the gospel. Job has lost his family and fortune and is bombarded with suggestions that he needs to plead for forgiveness for what he has done wrong. Even today we look at failure as if something wrong was done that a person is somehow being punished. We see in the gospels, that Jesus is constantly reaching out and healing the sick, or driving out demons. We forget that he lived in a simpler time when sickness and death came at a much earlier age than today when we have grown in knowledge and advanced in understanding how to treat sickness and extending the ability for living with less sickness for a much longer life. Consider that less than a hundred years ago 50 million people died from the flu that today we can pretty much control with vaccines and medications developed since then. What we can say is that suffering, loss and depression are not really a result of doing something wrong. In all of us, there is a built-in lifespan, a built-in obsolescence if you will. None of us is made to live our human life for ever or to be free for our whole life from pain or sickness or suffering. What is important is how we handle all the things that come at us day-to-day. 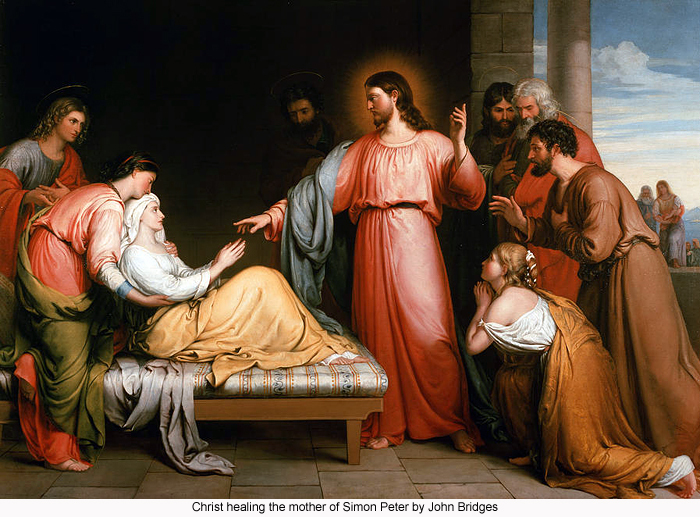 Yes Jesus left the synagogue and went to Simon and Andrew’s house and cured Simon’s mother-in-law. 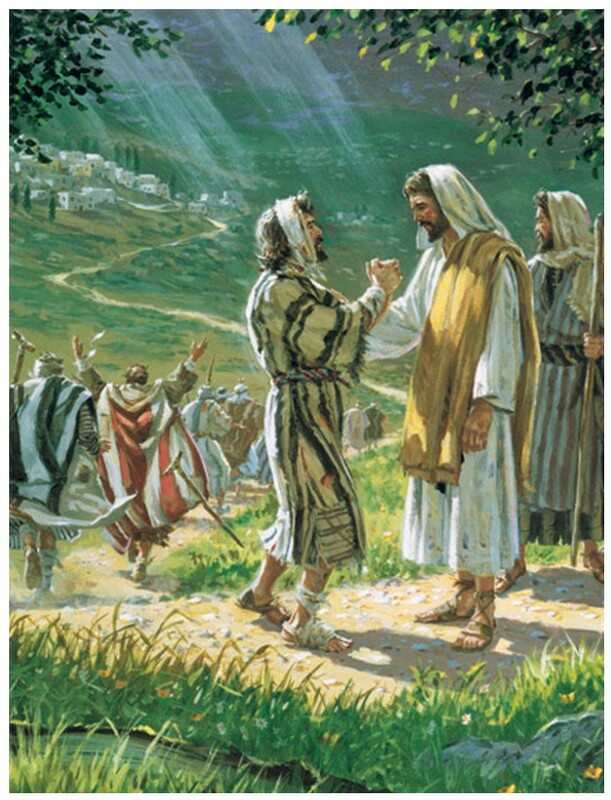 And after the Sabbath had passed and evening came, the whole town was at the door not to just hear him but to be cured of illness and possessions. But notice, Jesus went out at dawn to pray. Being pursued by his disciples, he doesn’t go back to Capernaum for he doesn’t wish to become a spectacle, a healer or miracle worker, but rather he came to teach and preach. Sure he healed when it was of service to the poor and sick, but it was not what he was about. His mission, his life was to pass on his knowledge and love of his father. He knew his life and mission was to be short. 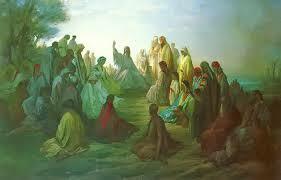 He knew that all the prophets and his predecessors suffered and faced opposition and rejection. In the end he faced death and suffering himself. It was part of his acceptance of becoming human. If He suffered so, it helps us understand what part suffering plays, but why is harder to understand for it is somehow tied to how death entered into the cycle of creation. As believers we are called to love and support each other, but to know all the whys and mysteries of life and creation is for another time and place.